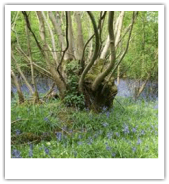 JW Salmon Tree Care - Tree Surgery, Forestry, Woodland Management in Hertfordshire - Baldock, Brookmans Park, Bishop's Stortford, Buntingford, Cheshunt, Harlow,Hatfield,Harpenden,Hertford,Hitchin,Epping Forest,Knebworth,Letchworth,Potters Bar,Royston,Saff - JW Salmon Ltd, Hertfordshire, Approved Contractors with the Arboricultural Association. 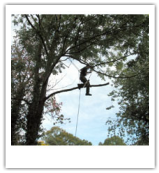 Professional Tree Surgeons in Hertfordshire. With our wealth of experience and using the latest tree surgery techniques and equipment, we carry out tree pruning to the highest standard. Our fully qualified team with their many years of experience and expertise will make this task look easy! For every tree that is removed we advocate planting at least one other. Contact us to discuss a variety of tree planting options using only the finest quality stock. From woodland creation to ongoing management, our services can help you ensure that your woodland is an attractive area to enjoy and profitable too! 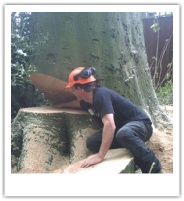 We offer specialist stump removal for any size of stump. 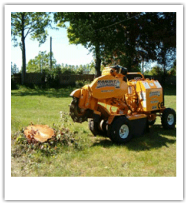 Our up to date equipment and techniques ensure that the stump is removed with the minimum of ground disturbance. Our emergency service is available to you 24 hours a day, 7 days a week should the unthinkable ever happen. This service includes both preventing the threat of falling branches as well as clearing and making safe an area should the worst ever happen.